What would you do with an extra $250? You can g o anywhere with Visa!! 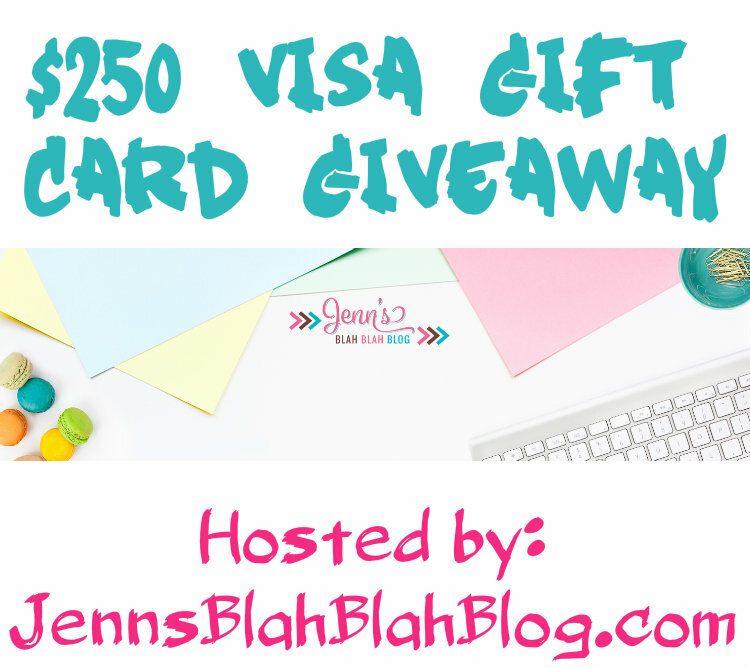 This giveaway is hosted by Jenns Blah Blah Blog and sponsored by her wonderful friends at Minute Maid who want parents to stop take a deep breathe and realize their doing better than they might think. They also want to encourage others to tell friend, family and loved ones who they see doing an awesome job as a parent that they are doing a better job than they might think. One lucky person will win a $250 Visa Gift Card! Giveaway is open to US, must be 18 or older and enter before Oct 9th at 11:59pm EST. We volunteer time at local events, often help others with rides to appts. My youngest son helps do yard work for elderly people and my 20 yr old daughter babysits for free to help with her early childhood degree. Oldest son is combat medic in the Army I hope he is still doing good for others. We believe in pay it forward. My kids and I deliver donations of clothing, housewares, etc., to a local shelter for domestic-violence victims. We also bake cookies and deliver them to a local homeless shelter. I am the mother of 4 grown children and today I can say I’m doing OK! When they were young there were many days when I wasn’t so sure, but they really do grow up so fast. I do miss those days when they were little. My moma is “doin good” by always being there for her kids and grandkids! My granddaughter just had her 1st baby. And as a first time mother she is a little nerves but she is doing great. Your letter is so awesome. What a great idea! When I’m going crazy, feeling like I’m running in circles constantly just to handle my children’s basic needs, I’m thankful for a great husband. He’s a wonderful, involved father. So I think, man, how do single mothers or fathers to this ALONE!? Single fathers and mothers are heroes. A neighbor is a wonderful mother & takes excellent care of her handicapped daughter. I am a parent of two little boys under the age of two and I’m doing great! My sister is doing good. She lost my neice two years ago and she’s raising my two nephews, my little niece and has a baby on the way. Shes been through a lot and still manages to keep going and stay strong. We donate pet supplies to our local pet shelter and school supplies to the school each year! I am teaching my kids to give things to those in need.